Before you set sail the ‘iron genny’ as it is sometimes known; the engine, should always be checked. Batteries should be well charged. Check the oil. Tanks filled with fuel and if you are going on a long voyage have extra drums of fuel lashed to the deck. As a female solo sailor we have to have some knowledge of our marine engine. Engines on a yacht are for negotiating marinas or needed to make headway when you have wind and tide on your bow or no wind at all. They can also get you out of trouble when you are in a tight or dangerous situation. Like if you have to get out of a bay with a rocky headland or coral bommies, or if other craft are too close for comfort. So before you head out make sure your engine is going to perform. Ask advice from your mechanic, read the manual and when getting a service be there and asks some questions that could help you fix small things when on the water alone. It’s wise to have a good easy to understand book on hand in case you have to do some trouble shooting if your engine has a problem, a good book to have in your yacht library would be ‘Understanding Boat Diesel Engines by John Payne. He’s a marine engineer with a wide knowledge of the technical aspects of your yacht. Remember there are no mechanics or garages out on the ocean, if you are sailing solo you need to know enough to get you out of trouble or if you are close to the main land you can call a marine rescue organization, so it’s a good idea to be a member. How to ‘bleed’ your engine when there is air bubbles in the fuel. Change fuel filters and how to release water in the bottom of a filter. How to change belts on the engine. Make sure hose clamps are secure and there are no leaks. There are courses you can take which give you ‘very basic’ knowledge of how to look after and trouble shoots a marine engine. 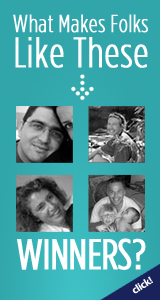 A great idea, and not too complicated to understand. This is a good time to put the necessary electrical switches on. Auto Helm … attach on deck and make sure it is working and on standby. Depth sounder … GPS … cover off and switched on. Radio … VHF… do a trip report before casting off. Important! 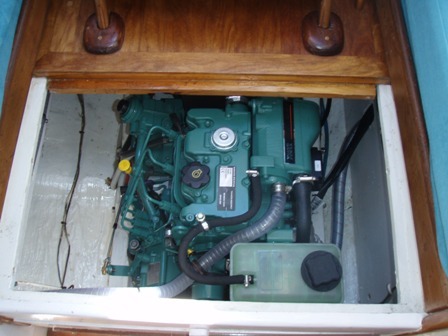 Bilge pump … check bilge is dry when you do your routine check of the engine. Fridge freezer if needed … on. Any other instruments you have or need … on. Talking to a friend who spends a lot of his time sailing solo we agreed we all have our ‘to do’ lists when we jump aboard, and comparing notes we were pretty much alike. I was never really taught and have seen no books on what one should do as a lone sailor; all I can talk about is learning from experience, and the way I do things from trial and error and talking to other likeminded sailors. When sailing with others ‘many hands make light work’ and a lot of these things can be done after casting off. 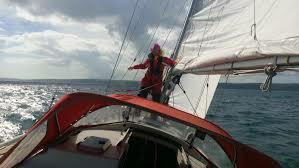 When sailing solo don’t leave a safe harbour without preparation. Sail covers come off the main sail, and are folded and put down below. Sail ties can be taken off … just leave a couple on to hold the sail till you are ready. The shackle on the main halyard is clipped on the head of the main sail; I secure it back to a sail tie to keep it from swinging and getting tangled in the rigging. 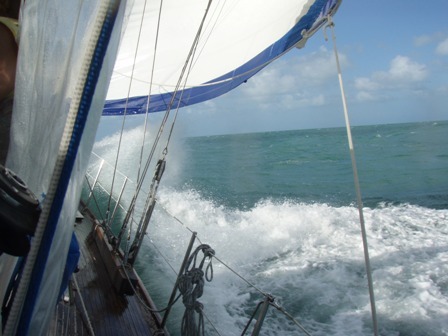 Keep it firm with a turn round the winch until ready to raise the sail. Make sure the winch handle is close by. Free up the main sheets and put a figure eight knot at the end. Make sure the traveler is where you want it. Free up the Genoa or head sail sheets and put figure of eight knots in them. That is based on a furled head sail or Genoa, if you haven’t got one make sure you have hanked on a head sail and have it ready to go. Have winch handles ready and easy to reach. Have in mind a clear area in the marina or bay where you have enough room to turn into the wind and raise the main sail. You will need a minute or two so make sure you are clear of rocks and other boats. We are going sailing solo and we are nearly ready to cast off! First though we must put in an accessible place every piece of gear we may need for the voyage. Navigation equipment such as a hand held GPS, charts and helpful books. Things like binoculars, a screwdriver and sharp knife should be close by. A jacket or wet weather gear and sailing gloves plus sunglasses ready to put on. Sunscreen and lip gloss to protect your skin. I also like plenty of iced water and some easy snacks ready to go in a small esky/ice box on deck and out of the way. If it’s cold outside some hot coffee or soup in a flask with crusty bread. Preparation complete!! And now everything is ready to go sailing solo! Docking lines can be looped around the cleats and led back to the cockpit for easier control when casting off alone. Think it through ...your motor is running ... you have not left any lines still tied to a cleat to hold you back (seen that happen a few times)and you have a couple of lines ready to be easily released. Put your engine in reverse slowly, assuming the bows facing the marina, throw off the last line and you are away. If at anchor ... your motors running ... hopefully you have an anchor winch ... start pulling it up. It may take a trip back to the helm to motor up to it before you get it on board. Now back to the helm and you are underway! OK ... You are going sailing solo... you’ve prepared well, and you have motored to an area close by and clear of other water traffic. Slow the engine and head into the wind, and put the auto helm on to hold on your course. Quickly remove ties off the main sail which will free the halyard, haul up the sail hand over hand as fast as you can so it does not foul in the rigging. Use the winch to get it right to the top and secure halyard. Adjust the main traveler and ease the sail out, keeping watch for any other vessels or hazards. Take off the auto helm and put on standby. Put more power on the engine and steer on the course you wish to take, place auto helm back on. 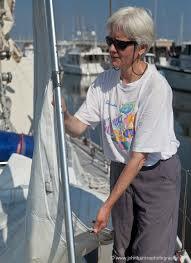 Now you have your hands free make any adjustment on the main sail that are needed and trim. This is a good time to get the fenders in and a quick tidy of any sheets or lines lying around. If you were at anchor and need to secure it better, I do it at this time too. Now the Genoa or head sail; I’m assuming you have a roller-furling system, if not adjust the technique. Make sure all lines are free and you have already put figure of eight knots on the ends of the sheets. Put a couple of turns on the winch and haul out hand over hand as far as possible. 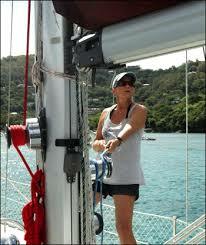 Use the winch handle to crank in the Genoa or headsail and trim till the tell tales are flying horizontal. Make sure that you are on course for your destination; check GPS or charts if necessary. 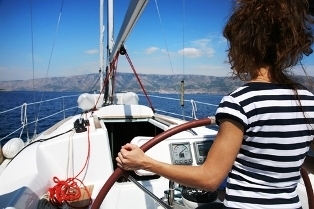 Alone at sea and solo sailing you need to take special note of any other vessels in the area, or hazards. If you haven’t done earlier switch off the engine and relax. 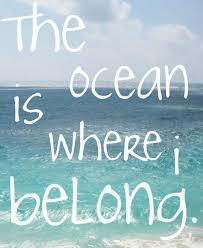 This it..... This is sailing solo!